The latest Gallup Poll shows Americans considering themselves “Pro-Choice” is at a record low of 41%. Gallup began asking people to identify themselves as pro-life or pro-choice in 1995. In 1995, only 33% of the people polled considered themselves pro-life. In Gallup’s latest poll dated May 23, 2012, 50% of Americans now consider themselves pro-life. What a difference time makes. 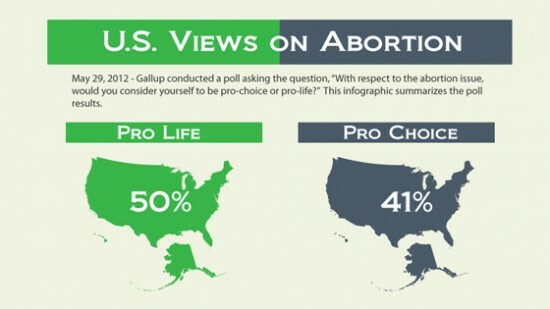 Gallup recently completed a new opinion poll to understand Americans’ views on abortion. The Gallup website explains that “results for this Gallup poll are based on telephone interviews conducted May 3-6, 2012 with a random sample of 1,024 adults, aged 18 and older, living in all 50 U.S. states and the District of Columbia”. 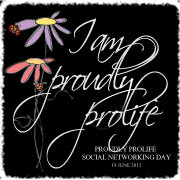 The data suggest more people identify themselves as being Pro-Life! I find it curious that the headline of the poll reads,”In U.S., Nonreligious, Postgrads Are Highly “Pro-Choice”. Gallup’s own polls continue to show Americans increasingly identify themselves as pro-life. Take a look at the information graphic I created from the poll results and draw your own conclusions.